Just to let people know that you may see people putting fencing up around the listed buildings on the site. This is part of a series of measures announced by The Craighouse Partnership. We understand they will be putting fencing around the listed buildings, putting a security presence at the lodge, blocking the entrances to the buildings and blocking off the main entrance to the site (you will still be able to get in by the lodge or the Craiglea entrance). There are already security cameras installed around the site. They may cut back shrubs around the listed buildings to protect guttering. We may need to get more clarification on what this means. Let’s hope shrubs are not taken out unnecessarily, leaving the site looking sad or less attractive. Trees should be protected in a Conservation Area. Whilst some measures may be necessary to protect the listed buildings, we are concerned about the blocking up of the main entrance to pedestrian access. They have also announced that they are going to substantially reduce the maintenance of the grounds, which is certainly not necessary. 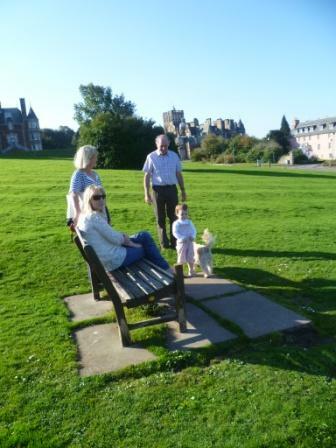 People enjoying the spectacular views from the benches. 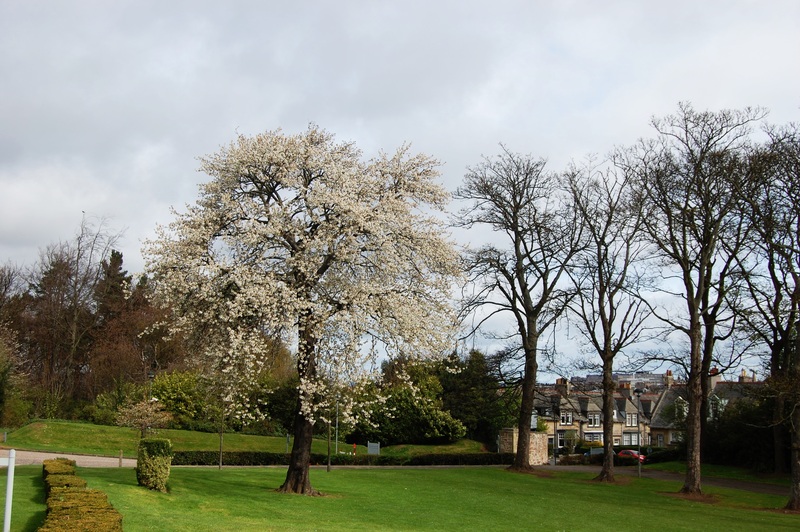 We would question the blocking of the main entrance to pedestrians and the substantial reduction of the current inexpensive and minimal maintenance – particularly as Napier is a continuing partner in The Craighouse Partnership and has internal people who can do this and Craiglockhart is maintained locally. This would be a very minimal and inexpensive measure to encourage the public to keep using the site – which is the best thing of all from a security point of view. We urge William Gray Muir, as a Trustee of Edinburgh World Heritage, to take responsibility towards this site as a publicly accessible beauty spot and not allow any measures to spoil this beautiful site for the general public, the local community and the rest of Edinburgh. To the local community, we would like to urge everyone to not feel put off by any new measures from continuing to use the site. Continue to love and use the site. Let’s keep our community commitment and do our best to keep the site as beautiful as we can, no matter what happens in the next few months – any litter, let’s try and pick it up and take it away if we can – even if it isn’t ours. I try take out any litter I see and will continue to do so. (I should point out that the public are very good about taking out any litter at Craighouse but we don’t want to see that change for any reason.) Let’s all make our own effort as much as we are able, to not allow this beautiful site to look less attractive for when the planning committee visit. Importantly, the community and politicians should hold firm and not allow any measures to distract from the key issue that the Craighouse Partnership should release proper detailed financial information as outlined by politicians, expert organisations like the Cockburn Association and others, and by the Friends of Craighouse and the huge numbers of people who have written in to object to these unacceptable plans. The Craighouse Partnership must produce proper and detailed financial evidence to support any demands for enabling development on this protected site, less alone the excessive amounts they are looking for. So far, the tiny fraction of information on this in the public domain does not add up. Things may get more difficult, but we must hold out for a good future for this beautiful hilltop site for the sake of Craighouse and also for the sake of other historic and green sites in Edinburgh. Craighouse has seen the biggest show of support from the public for this beautiful site – with one the biggest number of individual objections ever received for a single application. The Council and community cannot allow the spoiling of the nationally-important hilltop setting of Cat-A listed buildings through excessive newbuild, 8 development sites, carparking for 323 cars, roads, traffic, permanent metal mesh fencing through the woodland and lots of privatised areas; not to mention the destruction of open space and woodland (including over 70 mature trees and uncounted numbers of shrubs), the habitats of protected species and the spoiling or removing of some of the most stunning views in the whole of Edinburgh. If we do, it will affect other historic sites and important landscapes and Areas of Great Landscape Value. (Just to give an idea of the importance – other Areas of Great Landscape Value in Edinburgh apart from Craighouse are Arthur’s Seat, The Botanical Gardens and The Hermitage and Blackford Hill). We have to think of the bigger picture – the preservation of this stunning landscape and the listed buildings for the future and the protection of sites of other important green and historic sites across the city. If it stands up to scrutiny – why don’t the Craighouse Partnership release the detailed financial case now? Why continue to keep it hidden from public view? We understand there should be a hearing later this summer. We will try and keep you updated on that. In the meantime, for the sake of the site, keep using and enjoying this beautiful place and don’t allow yourself to be put off from doing so, no matter what happens over the next few months. None of the buses are going to go into the site anymore . The 23 is already less frequent unfortunately. It is hard not to notice the fencing …we had also noticed the grass on the orchard has not been cut and had wondered if they would choose just to leave it to grow. I would also like to confirm that I often pick up litter of all sorts to show that the local community want to keep this site looking cared for and I would encourage others to do the same. Hello! I’ve been following your site for some time now and finally got the bravery to go ahead and give you a shout out from Porter Texas! Just wanted to say keep up the good job!